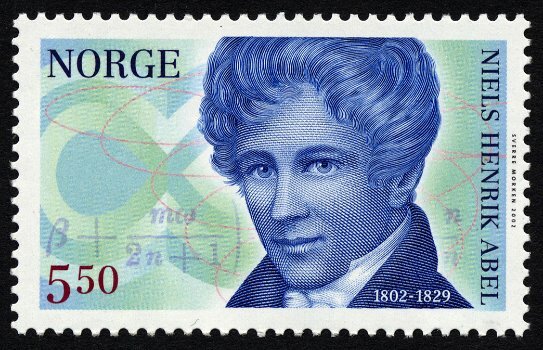 Niels Henrik Abel (1802 - 1829) was a Norwegian mathematician who was one of the pioneers in the development of modern mathematics. The Abel's theorem, Abelian integrals, Abelian groups, Abel's series, and Abel summability are named after him. He also proved that there is no general solution via radicals that gives the roots of polynomials of degree 5 (Évariste Galois gave a more general result). Abel's death at the age of twenty-six is one of the greatest tragedies in mathematics history.